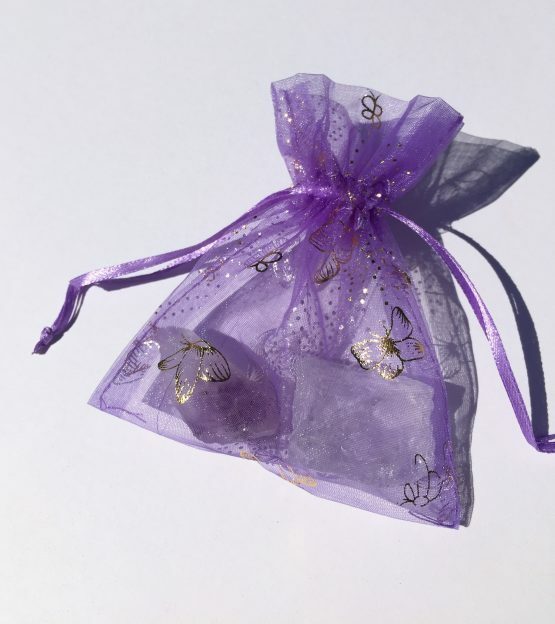 This kit comes with a beautiful Lilac Butterfly Organza drawstring bag and contains 1x Amethyst point Crystal and 1 x Clear Quartz Crystal Grade 1 natural piece and 1 x polished Rose Quartz Crystal Tumble Stone. Hold 1 crystal in each hand and the other 2 in the other or if lying down place 1 in each hand and 1 on the third eye chakra. 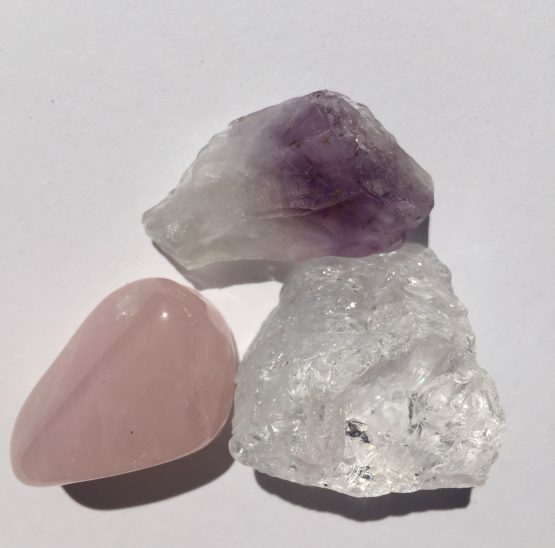 Sit calmly for 10 minutes or longer and let the magic of these powerful crystals get to work on re-balancing your chakras. You should start to feel an inner sense of calm coming in as they start to work. Weights and sizes of stones vary. There is also a kit which excludes the Rose Quartz Hand Held Palm Stone for a lighter and cheaper alternative. Check out the blog page for my own story on how I discovered the power of crystals and also information on how to cleanse your crystals.